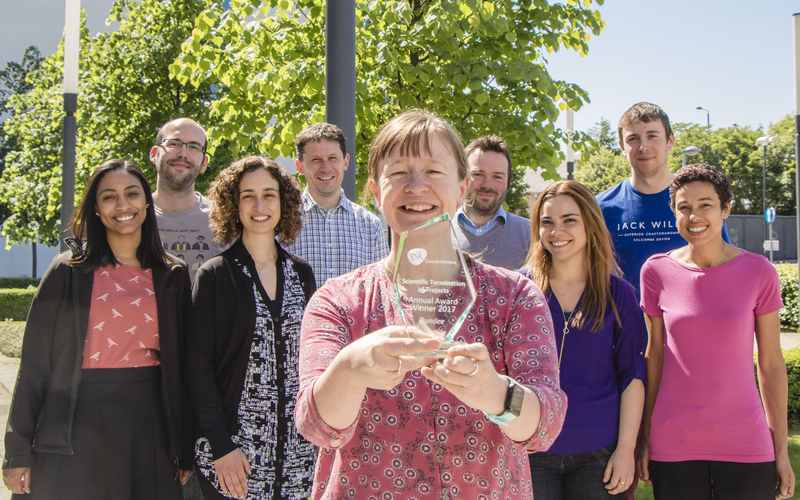 The Mode of Action team, based in the Wellcome Centre for Anti-infectives Research at the University’s School of Life Sciences, have been awarded the GlaxoSmithKline Scientific Termination of Projects (STOP) Award 2017 for pulling the plug on the development of compound series aimed at treating visceral leishmaniasis and Chagas’ diseases. Dr Susan Wyllie, who leads the team, explained, “Drug discovery is very expensive and has a high failure rate. Working out which compound series are likely to succeed and those likely to fail can be a very difficult process. One way to help differentiate series is to understand how compounds are killing the parasites that cause these diseases, and this is the primary focus of our group. “We were excited to study the mode of action of this particular compound series because the compounds were active against a number of parasites that cause neglected tropical diseases. Investigating further we found that these compounds kill the parasites by a mechanism that also has the potential to damage human cells. Our research, recently published in the journal Antimicrobial Agents and Chemotherapy, was key in stopping the further development of this series. The Mode of Action team, funded by Wellcome, was formed three years ago and has determined the definitive mechanisms of action of 13 different compound series that may have potential to combat diseases such as visceral leishmaniasis and Chagas’ disease. The World Health Organisation (WHO) estimates that over 600 million people are at risk of visceral leishmaniasis. It is estimated that there are 50,000–90,000 new cases per year, giving rise to 20,000-40,000 deaths annually. Chagas’ disease affects around eight million people worldwide, based on recent reports from WHO. This disease is one of the leading causes of heart failure in Latin America as it is responsible for life-threatening heart damage, if not treated early.